You just need more of them. APSU is an IBM managed service partner, a Microsoft accredited partner and VMware solution integrator with extensive experience in providing managed services for the Wintel platform, covering server and attached storage. The service is provided either remotely, on premise or within our own provisioned cloud service (Virtual Data Centre). Delivered and supported by our 24/7 operation team from two UK locations, we adhere to ITIL, PRINCE-2 and industry best practices to provide first-class support to all of our clients. It’s difficult enough managing a business. When supporting technology takes up too much internal resource, outsourcing some or all of your IT function gives you the flexibility to concentrate on what matters most – your business. APSU works with you to know your business, so that you can be confident. Whether it’s just single server or a complete server farm, each platform will be managed to the same exacting standards – standards which you define and we deliver. APSU will become your trusted and strategic partner by applying our key principles of: Innovative Design; Tailored Solutions; Service Excellence; and Value for Money. We also employ a Continual Service Improvement methodology to ensure that your trust is retained. If every business could clone its best IT guy, no one would need external support. 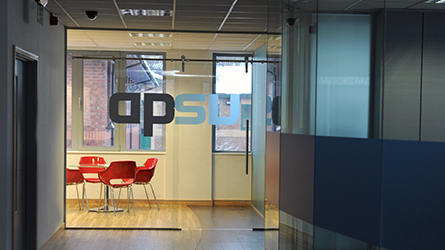 APSU’s managed services allow expert knowledge to be spread over a team of people with access to a larger pool of technical expertise. Holiday, sickness or staff attrition, are all covered in our managed service. 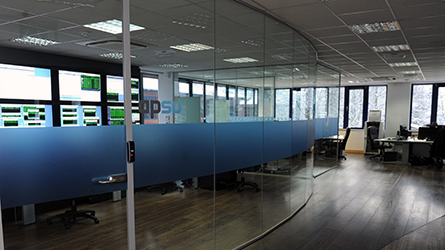 APSU will monitor, manage and provide a service desk to support your server and attached storage environments. This service will be designed to meet your current requirements and be flexible enough to grow with you, as your computing needs change. We adhere to ITIL processes and work with our clients to define clear operational documentation in order to record a common understanding about services, priorities, responsibilities and service guarantees – providing effective service level agreements (SLAs) in plain language terms. Our Wintel managed solutions can cover system monitoring, operation, administration, upgrade, performance and capacity, backup management and technical expertise. APSU take a tremendous amount of care throughout the planning, execution and service ‘Go Live’ stages of our contracts. Whether transitioning entire server farms or selected business processes, our transition services provide a time-tested, low-risk, and proven transition approach that is tailored to fit each client’s needs. 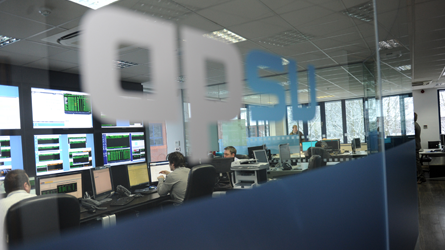 Throughout the transition process, APSU operates a flexible, yet proven, methodology for the management of risk. We undertake a mature approach that covers identification of potential risks, maintenance of a risk register and maintenance of a risk plan that identifies mitigation and containment plans and responsibilities. All our service transitions are managed by dedicated project managers and assigned technical leads in each discipline of the service tier you have contracted with us. Procedures are the backbone of any managed service. APSU provides a consistent highly professional service, which can only be achieved by rigorous control of change requests, documented procedures, regular service management meetings, monthly reports and a following continual service improvement plan. By adhering to the procedures we define with you, we can ensure that we are managing systems in line with your expectations. It also means there is limited reliance on individuals so that natural technical attrition and holidays will never affect our service or yours. APSU’s change control management procedure is used for initiating, assessing and controlling modifications affecting the management of your IT environment. Together we define the requirement, review process and management approvals to implement changes to baseline deliverables together with a detailed regression path should this be required. Change control requests are tracked with a unique identifier (generated by our change control system) and only fully approved changes are executed. If you have not implemented a change control process within your business, then APSU will ensure you are ready for change, and that change makes improvements in service rather than causes unplanned disruption. 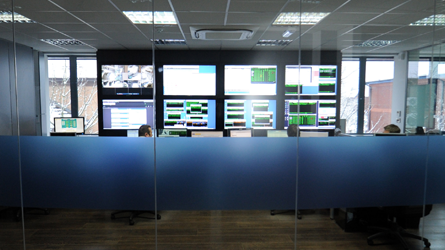 For incidents that occur out of hours (OOH), APSU’s Wintel experts can monitor for these critical messages and escalate any problems to your own team. We can also run your systems overnight and at weekends, ensuring system processes run smoothly, your services are available and that your data backups complete. We build our service to your exact requirements to supplement your own resources in the way that works best for you. We can extend cover to a fully operational 24/7 service, taking care of all aspects of running your server, attached storage or extended desktop support. Lowering costs, with zero employee downtime and improved system availability. The services include system monitoring, operation, administration, upgrade, performance and capacity, backup and technical expertise. We also provide dedicated staff on-site for tasks that simply cannot be done remotely. Classed as surgery days, our clients value these on-site visits to provide closer communication and engage in project-based work. In addition to our managed service support packages, APSU transacts IBM hardware and software support agreements, acting on your behalf to negotiate the most cost-effective way to ensure your IT infrastructure is covered. We also provide a service desk to manage all these agreements, including third party hardware break fix for a centralised service. So instead of watching a business day disappear on a hardware maintenance call, let APSU deliver your IBM hardware and software agreements with a dedicated service desk. Lowered maintenance charges with one call and the hassle outsourced.